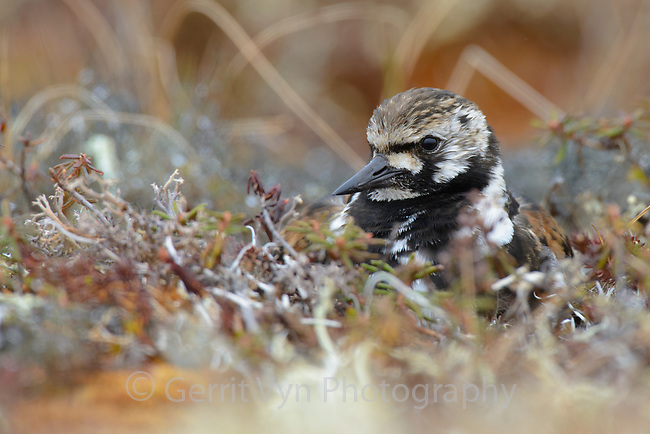 Adult female Ruddy Turnstone (Arenaria interpres) in breeding plumage incubating a nest. The Yukon Delta has some of the highest shorebird breeding densities known anywhere. Yukon Delta National Wildlife Refuge. Alaska. June.